Michelle L. Segar, Ph.D., M.P.H., M.S. Michelle Segar, Ph.D., M.P.H., M.S., is the Associate Director of SHARP and a motivation researcher at the Institute for Research on Women and Gender at U-M. Her award-winning research suggests that the specific “reason” or “purpose” people have for initiating health behaviors influences whether they stay motivated to sustain them over time. Dr. Segar is an emerging thought leader, having her insights featured monthly in places like The New York Times, Forbes, WomensHealth.gov, healthywomen.org, US News & World Report, and Fitness Magazine, among other news sources around the world. Her counterintuitive recommendations for building sustainable health behaviors are based on almost 20 years of work and they are starting to influence communication and practice policies related to promoting active lifestyles, healthy living, and self-care to individuals. Dr. Segar’s interventions and translational research have been funded by the National Institutes of Health of the U.S. Department of Health & Human Services, Blue Cross Blue Shield of Michigan Foundation, Michigan Institute for Health & Clinical Research, and the American Association of University Women. 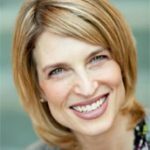 Her innovative insights and methods for fostering high-quality motivation and sustainable physical activity have generated professional accolades from prestigious organizations such as the Society of Behavioral Medicine, American College of Sports Medicine, Michigan’s Governor Council on Physical Fitness, Health, & Sport, National Association for Women’s Health, and the North American Menopause Society. Dr. Segar’s interdisciplinary training includes a Ph.D. in Psychology, a M.P.H. in Health Behavior and Health Education, and a M.S. in Kinesiology.